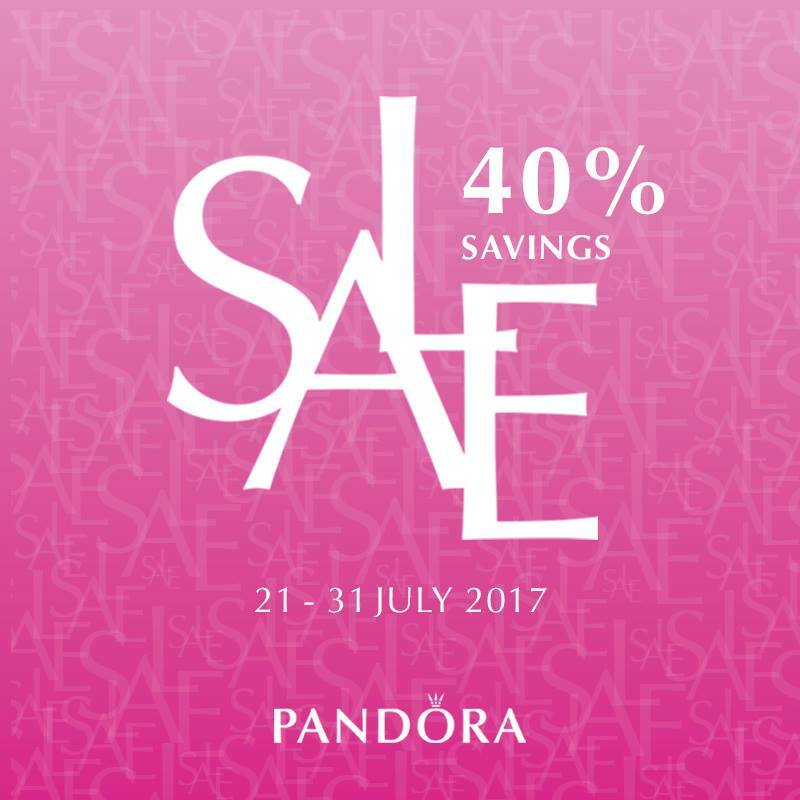 PANDORA Summer Sale 2017 with 40% savings on selected items available at nationwide boutiques except PANDORA KLIA starting from 21-31 July 2017. 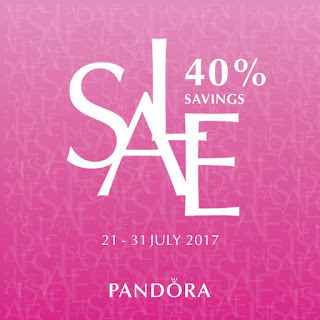 -Product prices shown are after 40% discount. -The promotional items are from selected range only, while stocks last. -Please enquire with staff-in-store for more details and designs.